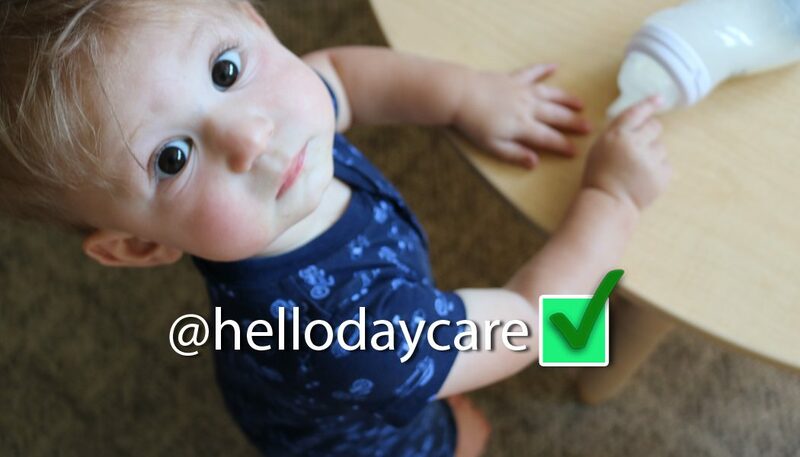 So you want to grab a social media username for your daycare business? If YES, then you’re headed in the right direction. Securing a username across the internet is an important step to take after deciding on your daycare business name. Once you have decided on a company name for your child care business you’ll want to grab its username across the internet on social media to build your brand presence. This can be a nerve-wracking task, especially if your username has already been taken. BUT, don’t fret, just get creative. 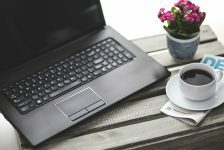 A well thought out username can make a BIG difference for your business when communicating online with current and prospective clients. It’s not hard, just follow me for some helpful guidelines to get you on your way. And remember, most importantly, it’s FREE! So take advantage of what the internet has to offer you as a marketing tool to advertise your business. Some important tips to keep in mind when choosing a social media username. KEEP IT SIMPLE AND BE CONSISTENT. I love consistency, as I am sure you do to, for the simplicity of course. And mainly because followers tend to remember you based off your consistency. CHOOSE A USERNAME FIFTEEN CHARACTERS OR LESS, BUT NO LESS THAN THREE CHARACTERS. Most of the popular social media sites have a minimum number of characters you can use when choosing a username, like Pinterest, Twitter, YouTube, and Instagram. For example, the longest number of characters in a Twitter username is fifteen (15) characters, so I would suggest limiting the number of characters to this standard. Of course, your company’s business name is ideal as your first option, but if need be get creative by abbreviating or using acronyms. Some helpful acronyms/abbreviations would be (DC) Daycare, (DCP) Daycare Provider, (FCCH) Family Child Care Home, or (EC) Early Childhood to list a few. DO NOT USE SPACES OR SYMBOLS, ONLY LETTERS AND NUMBERS. Ixnay on the ! @#$%^&* characters. This is only true for some social media platforms, while others like Instagram and even Facebook allow periods to be used. My suggestion would be to ixnay the period as well, for the sake of consistency. But of course, you have to do what you have to do, and this is why I got stuck with @elyssa.mcgregor (See the period?) on Instagram. Thanks Instagram for testing me and my OCD! LOL! TO CAPITALIZE OR NOT TO CAPITALIZE? IS A PERSONAL PREFERENCE. I use to think that a username should always have lowercase characters because your username is almost always found in the site’s url and that’s how most urls read, all lowercase. This could also be my OCD getting the best of me once again. But, I have recently had a change of mind on this because it all really depends on the username you have chosen and your business model. So my suggestion is go with what looks best to you. Just remember if you do decide on using capital letters in your username that most likely the url will display those characters in caps too (if that bothers you any). 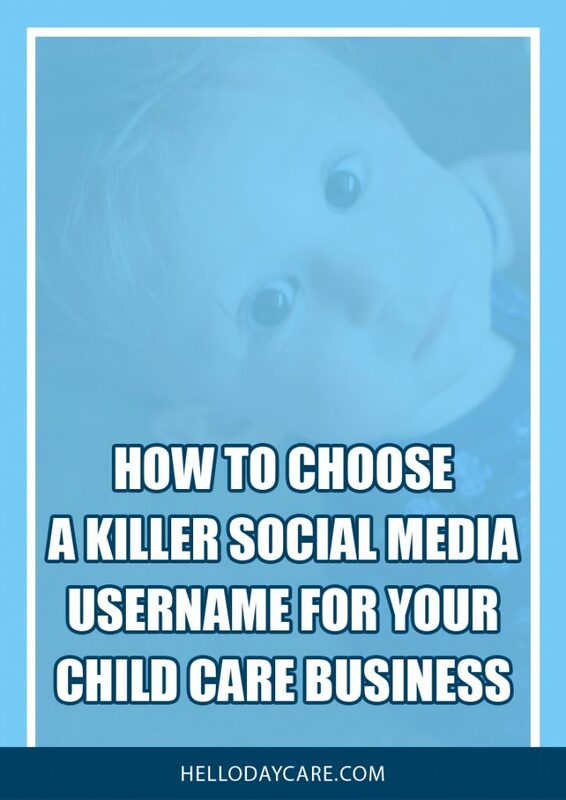 Here are five awesome ways to choose a social media username for your child care business! GO WITH YOUR CHILD CARE BUSINESS NAME. I know, a no brainer! And sometimes easier said than done. But ideally you’ll want to grab your company’s business name to utilize as your username (consistency remember?) If that’s not possible, keep reading for some “extra creative” options. GET “YOUR NAME” OUT THERE. A great way to get your name out there is to actually use your own personal name as your username. YES, your first and last name. This is one of the reasons why I have secured the username @ElyssaMcGregor on as many social media websites as I possibly could. The idea is when followers see your name, they’ll think “child care”, because you’re going to be the one known in your community for providing this service. GO WITH MISS OR MISTER. Don’t want to use your first and last name, no problem. Try going with just your first name or just your last name if your prefer and get creative by using an honorific. As you well know, most children call their teachers by first or last name preceded by a Miss, Mr, Mrs, Ms, etc. A username I would love to grab is @MissElyssa…now don’t go and snag this away from me. I’m really tempted to just go and grab it right now! HA! And I might just do exactly that! Ok back to miss or mister! This concept works great if you have an unusual first name (like me) and it’s not already taken. Of course, if you have a very common name and that username is already taken, try adding your last name and see if that combination is available. APPLY AN ACTION WORD IN YOUR USERNAME. What a great way to communicate with your daycare parents by choosing an engaging username such as @AskElyssa or @JoinElyssa. Again, add your last name if need be. OR, you can always combine tip #3 and tip #4 and go for something like @AskMissElyssa. Now, there’s a thought! Try using a location in your username like the community, city, or county your child care business is located. Here are three examples I would use for my daycare…@ShadowOaksDC (community), @ThousandOaksDC (city), or @VenturaCountyDC (county). Just remember not to go over your minimum characters allowed and use abbreviations/acronyms to help limit your number of characters. Hopefully this list of ideas got you thinking and you’re ready to download my social media username worksheet to help you on your way. It’s simple! Just print out this “free” PDF worksheet and choose up to five usernames as options for your daycare business. Then utilize the tool below along with my worksheet to check for your username’s availability across the internet. Use Knowem.com to check for username availability. Knowem.com is my “go to” whenever I am checking for username availability. In all honesty I have not registered with this site nor do I utilize it to claim a username. But, I do use it to make searches for username availability all the time, mainly because it is quick and easy, oh and (did I mention?) it’s free! Watch their quick tutorial demonstrating how to do a simple username search. This quick search is for “their list” of the 25 most popular networks. In my opinion, I would love it if Instagram and Google Plus showed up here too! For a more advanced search, click here to search over 500 more social networks. 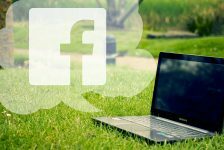 This link will take you to a more detailed page of social networks categorized by niche markets such as blogging, bookmarking, photo, and video, to list a few. Here each category can be checked individually. So there you have it! 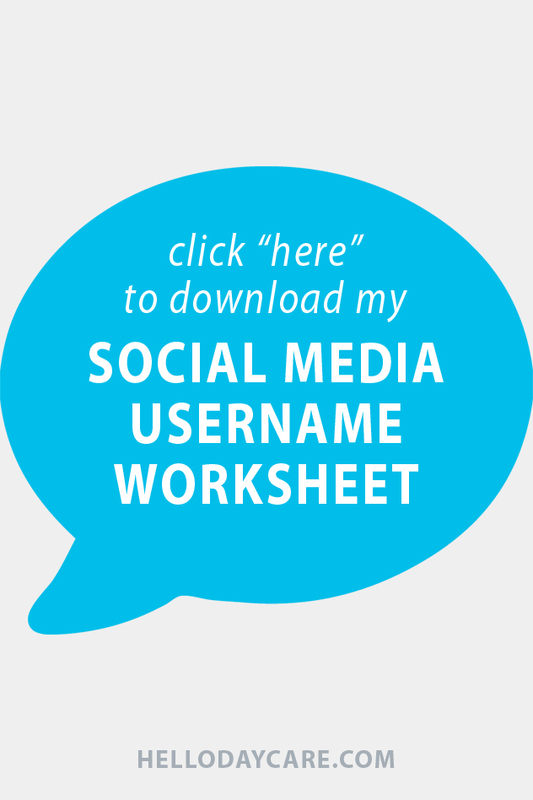 If you haven’t already done so make sure to download my social media username worksheet and go grab your username and secure your brand TODAY! Make a presence online to help promote your daycare to a wider audience. Great tips. It’s a good idea to be consistent for sure!